As we eagerly anticipate the 12-21-12 Solstice Gateway, let's look at what is happening astronomically. Everyone seems to be calling this something different and it can be a bit confusing. Let's look at what the Mayans were so excited about and what they were pointing out to all who would be around on this date. 12.21.12 is the long awaited Winter Solstice, the date of the Grand Galactic Alignment. Significantly this Winter Solstice 2012 is the only Solstice in recorded history to occur at exactly 11:11. (11:11 has special cosmic digital significance which you can read about at the second link). How the Mayans knew this is a mystery (or is it?). Below is more on the rare alignment of our Solar System with the dark rift of the Milky Way as we cross over the Galactic Equator. The excitement for 2012 as a turning point in planetary Consciousness has been building all year long. We are finally at our most important choice point which millions are anticipating as a profound opportunity to birth a new era of peace and goodwill towards all. This once "every 26,000 year event" is why we all are on the planet now - to bear witness to the birthing of a new era in Consciousness. Millions of people around the world are unifying to say "YES" to a new potential for humanity, using the start of a new Mayan calendar cycle as an auspicious marker point. For three days, people will gather to spread love, kindness and hope together in a massive, synchronized effort with events around the world designed to put humanity on a better path. Each one of us is needed right now to activate the movement of personal and collective evolution. So what is the Mayan Long Count calendar actually pointing us to? What is ending? Apparently the top view of the pizza is ending!! Here is an easy to follow astronomical explanation of the passage through the Galactic equator that happens on December 21, 2012. The Galactic Alignment is the alignment of the December solstice sun with the Galactic equator. This alignment occurs as a result of the precession of the equinoxes. Precession is caused by the earth wobbling very slowly on its axis and shifts the position of the equinoxes and solstices one degree every 71.5 years. Because the sun is one-half of a degree wide, it will take the December solstice sun 36 years to precess through the Galactic equator (see diagram below). If you imagine our solar system as a bunch of peas on a plate, with a huge meatball in the center, imagine the Milky Way as a city-size pizza with the "Guinness World Book Record Meatball" in its center! Prior to December 2012 we have been drifting on the top of the pizza, never really able to see the bottom. The plate and pizza are not parallel. They are moving at different angles. We've been drifting down, down, down... and on December 21st, 2012, we will be exactly level with the crust -- forming an "x" at the Galactic Equator where galactic gravity is the strongest. After 2012, if we are still here, we will be passing through the bottom zone, viewing the Milky Way pizza from the South. Galactic synchronization is a term coined by José Arguelles in "The Mayan Factor" in which he calls this current period in time an era in which the ascension process begins, or possibly a time for us to make an evolutionary leap to the next dimension. The Great Cycle in the Maya Cosmology, is a fifth and final cycle in the 26,000-year Precession of the Equinoxes, except that the Mayans measured it from the Winter Solstice instead of the Spring Equinox. "On 13.0.0.0.0, the December solstice sun will be found in the band of the Milky Way. We can call this an alignment between the galactic plane and the solstice meridian. This is an event that has slowly converged over a period of thousands of years, and is caused by the precession of the equinoxes. The place where the December solstice sun crosses the Milky Way is precisely the location of the "dark-rift in the Milky Way...'Xibalbá be' - the road to the underworld." , which the Maya called the Mouth of the Crocodile, (or jaguar-toad); the Crocodile Tree being the Milky Way itself. We will feel the energy of this day as the powerful energy gateway opens and as our solar system is pulled and influenced by the powerful gravitational pull of the Galactic equator and the "dark rift in the Milky Way". What will be revealed for each of us in this "Mouth of the Crocodile"? What emotions will surface for us to release? What ever comes into our experience, we need to answer it with Love. Love IS the only answer in 2012, it has been for the entire year and it is the only answer for anything that December 21, 2012 brings our way. No matter what you do or where you are tomorrow December 21, 2012 - it is important that you do if from Love, Unity and Peace. Make Love your primary feeling and energy on this powerful day and you will be contributing powerfully to the whole. This is the day to "go in Peace" with your heart overflowing. Let's together powerfully anchor Love into the world. So We Made it Through 12-12-12, What's Next? Yesterday was 12-12-12. The final triple date gateway for 100 years. Yes, we are done with them for now. And this was the MOST powerful of them all. So what gifts did 12-12-12 bring us? For one, VERY high frequency, Light filled powerful energy. Most people noticed that they felt different on 12-12 and maybe a bit more tired than usual After all, assimiliating all that high frequency energy does change our energy. We were all changed on 12-12-12. Subtly and not so subtly. We will get to see in the coming weeks how much and how we were changed. Between 12-12-12 and 12-21-12 the energy is going to RAMP UP within us, changing us internally. The internal energy changes are the focus of these next 9 days. 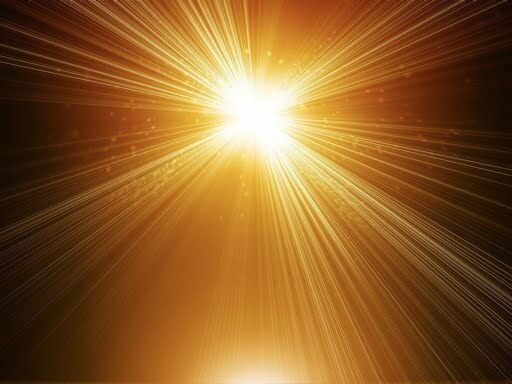 Our frequency is going to be raised, our capacity to hold Light is going to increase and WE are going to change. It is important that we focus on Love, Gratitude, Positive change, Unity and Cooperation during these 9 days. Live from Love The Collective* say. After 12-21-12, the energy will continue to RAMP UP but now the changes will be external in our world. The energy is focused in all the grids, the Earth, the ionosphere and all the "things" we call culture and institutions. HOW this energy expresses will be a mirror of the shift we have made within. We all know that the outer world mirrors the inner, right? So the changes and shift we collectively bring forth during the 9 days between 12-12 and 12-21 will be what we see showing in the world after 12-21-12. Obviously we want to see expressions of Love, Gratitude, Positive change, Unity and Cooperation in our outer world. Clearly we have an important choice in every minute the powerful energy is streaming through us, changing us in these next 9 days. Living from Love is choice we need to make every minute. No matter how others act toward us, no matter how hectic the holidays get, no matter whether things are going not the way we like - Live from Love. Just BE Love and we will be very pleased with the manifestations we see in our outer world after 12-21-12. As within, so without. 2013 is going to be AMAZING! In so many ways. Today 12-13-12, is the final New Moon of 2012, and it is in Sagittarius. Sagittarian energy is all about releasing! So we have another boost to release that which no longer serves who we are becoming. When things come up, especially old stuff, your mantra needs to be "Let it go" and release ... and you will benefit greatly from this New Moon. On December 27 I am doing a special Multidimensional Energy Healing. It will align you with ALL the energies of December, 12-3-12, 12-12-12 and 12-21-12 and all the lesser alignments and portals that are present this month. There is a new energy gateway opening this month almost daily. This powerful 5-9th dimension healing will set you energetically to enter 2013 aligned with prosperity, money flow, Love, Joy, Peace and Unity. * The Collective are Source Consciousness as channeled through me, Amy Flynn. They are very loving, wise and awesome! I'm not saying that because I channel them -- all who experience them say it too! Their home on the web is http://TheCallofYourBeing.com/blog_index.html Visit them, feel their loving energy, receive their wisdom. © Amy Flynn, All rights reserved. For reprint permission, please email amy (at) allabout-energy.com. You may excerpt as long as you link to the original post. Been Feeling a Bit Odd Lately? Have you been experiencing all sorts of odd symptoms and body feelings now and over this past week? There may be some good reasons for that. I have been experiencing extreme tiredness and being more emotional than usual. (Those Olympic moments are killing me!) I know I tend to be a barometer for Light Energy and Solar activity so when I start feeling affected by something, the Sun is the first place I check. Sure enough we are in a period of heightened solar flares and solar storms. 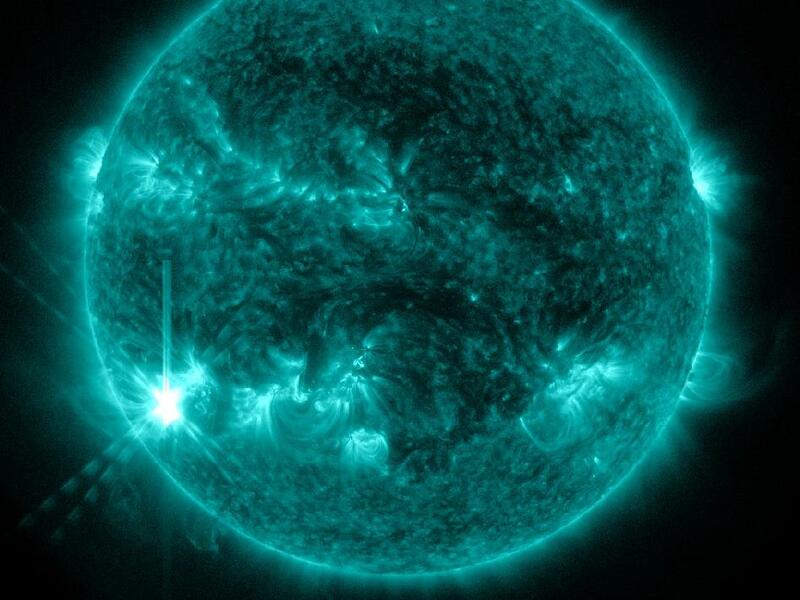 Lots of massive bursts of energy and Light coming off of the sun and bombarding us here. This is causing extremely high frequency Light and electro-magnetic energy to stream through the Earth and through us. We have the same electro-magnetic energy fields as the Earth and both of us are affected by an influx of high frequency photonic energy. The Earth has been letting us know how she's feeling with increased seismic activity and increased volcanic activity. Along with all of this we had a Full Moon on the 2nd. So we are feeling more "full" of emotions and our cells are swelling with fluid (as the moon exerts her pull) which has the effect of making the body feel more sluggish. AND there's more... we are in the midst of the annual Perseid Meteor Shower raining down upon us -- so should be be surprised if we feel a little scattered? So you see you aren't going crazy or losing it or sick -- it's just the Shift and the Sun, the moon and other galactic events! We are right in the middle of an Abundance of powerful energy making itself known to us! Look for more evidence of this energy on the Earth over the next month. While I have your attention, I'd like to remind you that Wednesday August 8 is my Global Teleclass. It's free and it's going to be fantastic (life changing perhaps?) so register for it here and if you can't make (I'll be devastated) you will be sent a link to the recording afterward. I am also getting nudges from The Collective that they are very eager to do another teleclass, I anticipate channeling info about this very soon. I keep telling them I'm feeling too tired at the moment.. .. but they aren't buying it... they have a timely message and they want to deliver it! Enjoy the wonderful energy and honor how you feel. It's a great time to slow down, relax and meditate and enjoy visualizing delicious experiences you want to be living. Mercury Retrograde: An Opportunity for Success! Did you know that more than 50% of the top Fortune 500 businesses were started under the Mercury Retrograde? 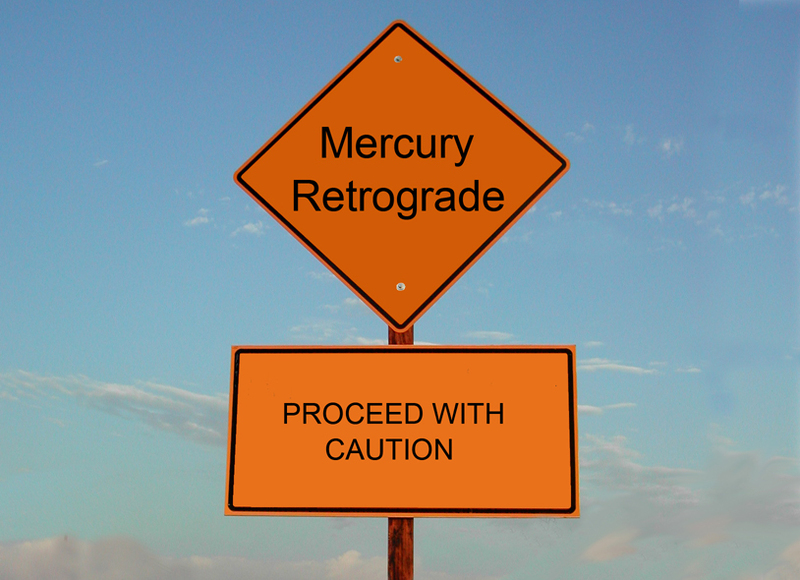 Mercury Retrograde brings us a huge opportunity for Abundance and Success! Mercury Retrograde brings us the opportunity to get out of our heads and FEEL our life through our hearts. 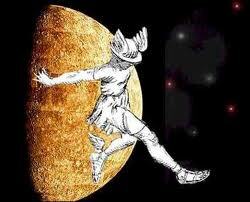 Mercury only APPEARS to move backward to us, in fact, Mercury is not altering it's path at all. Humans have added a lot of interpretation and meaning to what is truly an illusion and created quite a lot of "noise" over nothing really. I can assure you Mercury does just fine during it's apparent retrograde and so can you. The so called "effects" of Mercury retrograde are a self fulfilling BELIEF system. Don't believe it so much and it won't affect you so much. It really is that simple! You are believing in a negative belief system which generates 'fear based vibrations' in you which can naturally only attract like vibrations and things go wrong! What Mercury retrograde does bring is a special opportunity to tune into our inner world (higher mind) and heart a bit more. Mercury Retrogrades allow us to tune in more closely to our intuition, heighten our senses, and gain a larger overview of our lives. Rarely has there been a Mercury Retrograde that didn’t assist in uncovering mistakes that would have otherwise gone unnoticed. This opportunity for reappraisal may account for why so many successful businesses were launched during the retrograde cycle. Let’s try thinking of the Mercury Retrograde period as a big contemplation cycle. Contemplation is how we connect to our higher mind—and disconnect from our daily distractions—in order to look at life from a broader perspective. Certainly decisions made while in such a state are bound to be supported. It’s a time of review, and an opportunity to enhance decisions that we’ve already made. What other time of our lives do we get not just two, but three chances to make something work? This is the best time to look at our relationships and speak what’s on our mind. Mercury embraces communication—it encourages it. It’s time to take charge of our life and learn to live it fearlessly. Let’s move to make the Mercury Retrograde our comrade in wisdom. It's like anything.. what you focus on you get more of. What you expect, you get. What you expect manifests.! THIS is what creates the experiences of Mercury retrograde. It's your beliefs and expectations not the planet's motion! If you are likely focused on and aware of the retrograde, it's unlikely you can just forget about instantly so instead DECIDE that this period of Mercury (appearing to) be moving backwards will be one of ease, relaxation and good fortune for you! Read more here and check out a great animation of how Mercury moves through the sky and appears to move backward, you can see clearly that it it's all an illusion. © Amy Flynn, All rights reserved. For reprint permission, please email amy(at)allabout-energy.com. Feel free to excerpt as long as you link to the post and give author credit..
Today is Earth Day, April 22. It is the specific day that has been set aside for us to honor our beloved Gaia. 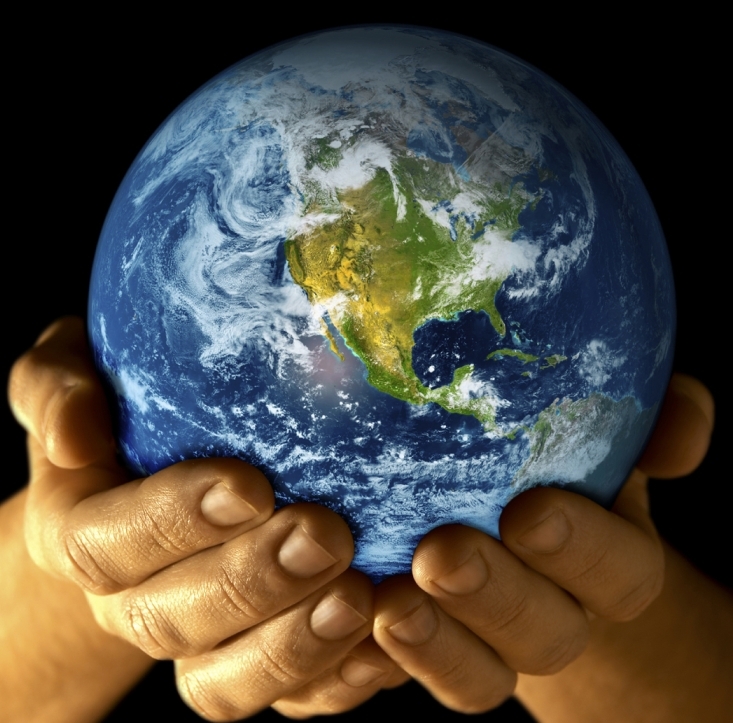 In truth every day is Earth day, for in this time of evolutionary shift and expansion, it is essential that we come from Love and act in partnership with the Earth in every moment. There are as many diverse ways of honoring Earth Day and our Earth as there are people doing the honoring. One wonderful way to do something beautiful to honor the Earth, is to practice Sacred Reciprocity. The Earth gives us so much, this is an opportunity to reciprocate with a sacred ceremony of offering to the Earth. Your ceremony can be as powerful and as sacred as you make it, you create it to express your Love and Gratitude. This idea comes from the Pachamama Alliance, an organization dedicated to preserving the Amazon Rain Forest and the ways of the indigenous cultures that live there and take care of the Rainforest. The energy of the Sacred Reciprocity is beautiful, very loving and nurturing. A beautiful 'hug' to give our Earth. You are invited to create your own sacred ceremony of offering to the Pachamama (Mother Earth). This loving action enhanced with the energy of the New Moon, the Earth's loving satellite, will create a magical bond between you and the Pachamama. Here are some ideas, guidance and offering examples at the Pachamama Alliance blog to support you in creating your own sacred ceremony.